This collaborative project between the University of Bath, University of Brighton, UniLaSalle in Rouen (France) and five other academic and non-academic partners, and funded under the Interreg VA France (Channel) England programme, is investigating the performance of a range of waste materials and bio-based co-products as alternative building insulation materials. “This is the first time these materials will have been tested in such a robust scientific way allowing us to accurately assess their thermal performance against each other as well as against industry standard insulation. 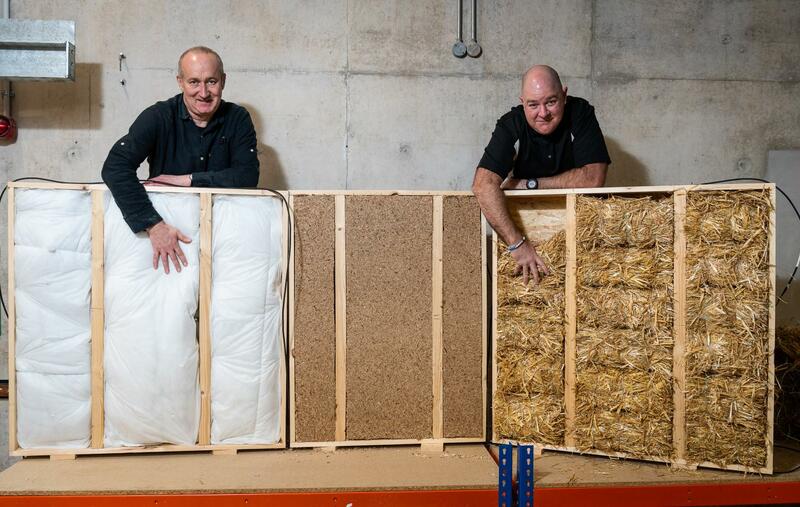 Professor of Innovative Construction Materials at the University of Bath, Pete Walker, commented: “Our previous research has shown the performance of straw bales as a sustainable and energy efficient building material, however, there are a number of other waste and co-products which could also perform well as construction materials.